Agriculture still has the highest rate of fatalities in Britain and farm workers over 65 are the most vulnerable, according to HSE stats. The HSE’s annual ‘Fatal injuries in agriculture, forestry and fishing’ report said that 29 agricultural workers were killed at work, with an additional four members of the public – two of them children – also dying. Breaking down the stats, being injured by an animal came out as the most common cause of death, resulting in eight fatalities last year. Six people were killed after being hit my a moving vehicle and five by being trapped by something else. There were four deaths resulting from being struck by an object and three from falls from height. The also statistics also revealed that almost half of the agricultural workers killed last year were over 65. To download the Barbour EHS Guide to Working alone, simply fill in the form opposite. 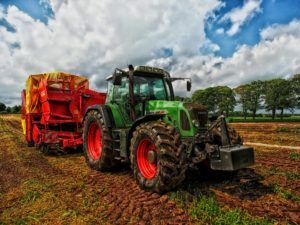 Lone working: Farming amongst the most hazardous occupations Agriculture still has the highest rate of fatalities in Britain and farm workers over 65 are the most vulnerable, according to HSE stats.